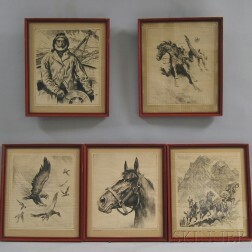 Save your search - find out immediately when "The Old Man and the Sea" is available at auction! 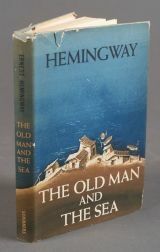 Hemingway, Ernest (1899-1961) The Old Man and the Sea , Signed First Edition. 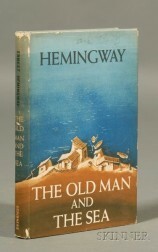 Hemingway, Ernest (1899-1961) The Old Man and the Sea, First Edition, Signed by Joe DiMaggio. Hemingway, Ernest (1899-1961) The Old Man and the Sea, First Edition. 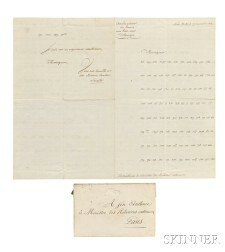 Lescallier, Baron Daniel (1743-1822) Coded Letter, Signed, New York, 19 November 1812.